Drake has been looking good these past few months, dressed up in slick labels like Brioni and Tom Ford. He’s been rocking fitted, Louis Vuitton–monogrammed leather vests on tour, sometimes adding a single strand of diamonds around his neck or a $200,000 watch on his wrist. 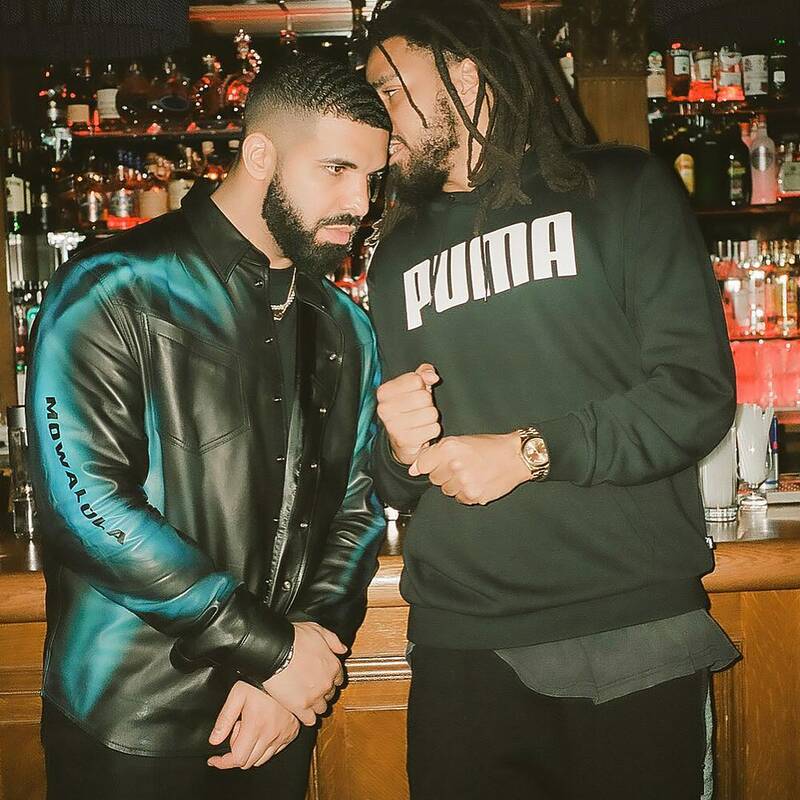 This weekend, at a party in London that marked the end of Drizzy’s tour, the rapper had another buzzy fashion moment. He sported a custom-made black leather jacket with icy blue paint trailing down its arms by Mowalola, a label by British-Nigerian designer Mowalola Ogunlesi. 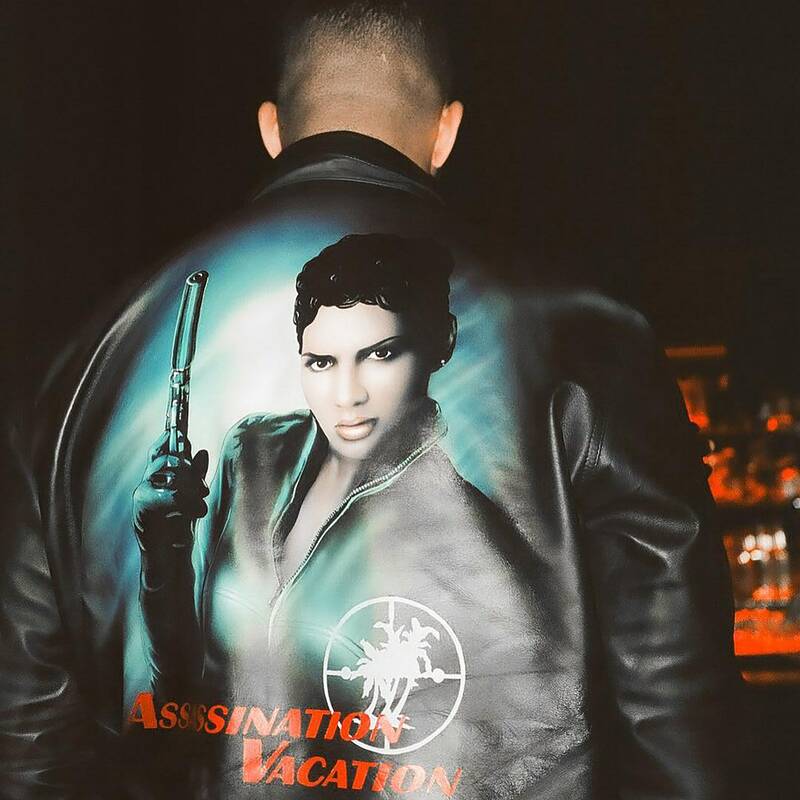 On the back of the jacket: Halle Berry as her character Jinx from the 2002 James Bond movie Die Another Day, which had been illustrated by artist-designer Julian Consuegra, along with the image of a palm behind crosshairs and the text “Assassination Vacation,” the name of the tour and the theme of the merch. “The team had noticed Mowalola’s signature use of beautiful images of black men and women on her clothing,” writes Drake’s stylist Mellany Sanchez, “We felt that she [Ogunlesi] would be a fit to make this piece with Jinx Johnson on it.” Berry isn’t the only iconic bombshell whose portrait has graced Drake’s back, as he also has tattoos of the singers Aaliyah and Sade. While Drake has been wearing plenty of custom menswear from storied labels, sporting a lesser-known designer is a new stepping stone. It seems to be a rite of passage in the world of celebrity wardrobes. Take Bella Hadid, whose stylist has helped her slip into a number of small designers from the country of Georgia, or Kendall Jenner, who wore an Area bag and Marine Serre opera gloves to Coachella this weekend. The gesture is a smart one. Though Drake is not completely immersed in the fashion world, it is nice to see him in something off-beat that still fully expresses his personality.